Brief us on the highlights of your visit to India? India has been important to Terumo BCT for many years. Terumo Penpol in Trivandrum is our Indian subsidiary, which manufactures close to 30 million blood bags each year making it among the largest blood bag manufacturer in the globe. I was here to meet our team and better understand our plans for the future, and I cannot express how excited I became when I heard, saw and learned more about the work that is being done by the team in Trivandrum. Besides meeting with my fellow associates and seeing the progress of our new R&D building in Trivandrum, I was here to meet customers, given my trip was very brief, I could meet just a few. My trip also coincided with the announcement of our collaboration with the research and development experts at Capgemini India. We also work with TechMahindra. These are major firms with deep expertise in disciplines including the power of connected devices, internet of things and artificial intelligence. Technology is helping us fulfil our mission of unlocking the potential of blood. It makes perfect sense to collaborate with firms like these, and leverage their expertise learned across other industries such as telecom, life sciences and high tech. What will be Terumo BCT’s priority areas of growth in India in the times to come? Terumo BCT recognises the potential and capability of the highly skilled and knowledgeable talent in India and is rapidly expanding our Innovation & Design Centre in India along with collaborating with various Indian companies. We are excited to introduce the Mirasol Pathogen Reduction Technology (RPT) system, to India. It is the first PRT system in India, receiving registration in July of 2017. We believe this innovative technology will have a positive impact on the safety of India’s blood supply. The Mirasol PRT system is a simple and effective way to reduce known and unknown blood borne pathogens. It helps to protect against a broad spectrum of pathogens including bacteria, parasites and viruses. Not just this, the Mirasol PRT system also inactivates white blood cells, adding an extra layer of safety for patients receiving blood transfusions. Where does India fit into Terumo BCT’s global vision? India represents one of the top growing markets for Terumo BCT in Asia Pacific. In the next five years, growth is expected at a double-digit percentage rate. Globally, we are seeing increasing levels of automation in both healthcare and consumer products. Our innovation and development efforts, many of which are being made in India, will bring automation to our customers’ throughout the world. What are the growth plans of the company for the next three years? What is the roadmap to achieve them? Terumo BCT will increase capacity in our manufacturing facility here in India by 33 percent, taking our annual capacity to 40 million blood bags. To meet the needs of the global market, in addition to the demand in India, we will also substantially increase our capacity for medical equipment for blood banking will also be increased. Investments are planned to increase our I&D infrastructure and there will be a significant increase in the number of scientists and engineers hired in India to design and engineer for the globe. What are the trends which would shape the healthcare industry in times to come? How is Terumo BCT geared to adapt and thrive in this environment? The demand for safe blood components will increase, this will be driven by the increase in oncology, trauma cases, surgery, blood disorders and the increase in demand for modern healthcare. A growing number of easy to use and efficient devices will be required, as technology continues to play an ever larger role in healthcare. Cell therapy will play a major role in treating various diseases and blood disorders in future. 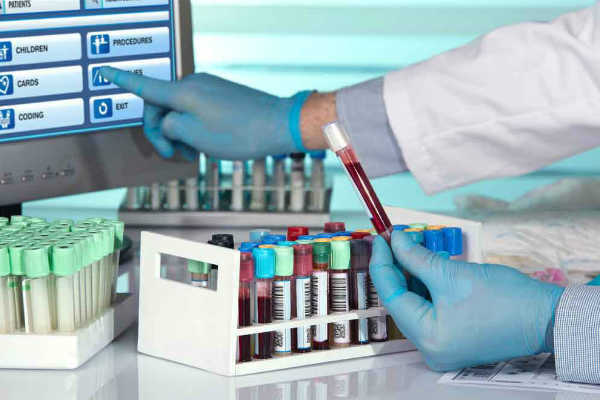 As a leader in the blood management and cell therapy businesses, Terumo BCT is well positioned to offer advanced technologies to meet these needs. Thanks to our vast experience and extensive global resources, Terumo BCT can lead the industry in providing safe blood components and cell therapies.